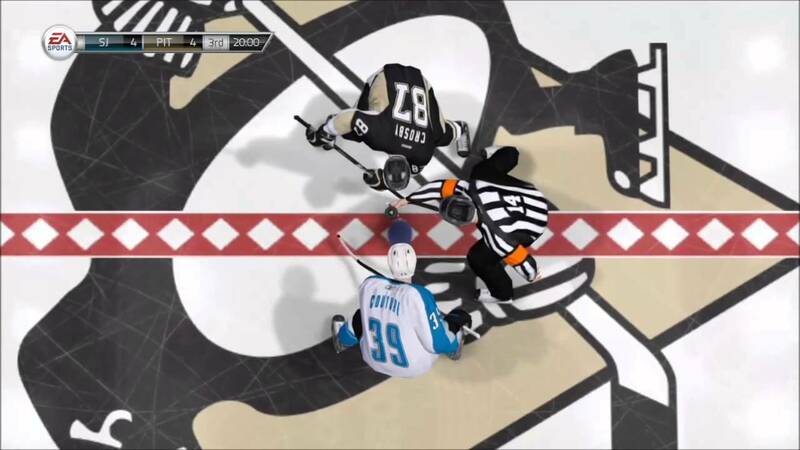 Thursday, December 5, 2013 will mark the 30th game of the season for the Pittsburgh Penguins, as well as the 30th all-time meeting between the Penguins and the visiting San Jose Sharks. The first meeting between these two teams actually took place 22 years prior, to the day. While the Pens seemingly owned the Sharks over the first dozen meetings, the Bay-area team has turned their fortunes around just as the franchise itself has emerged as a year-in-year-out Stanley Cup contender. Merch? Yeah, I have some. The Sharks would have been a World Hockey Association franchise in the 1970s - as the San Francisco Sharks - had funding for the new team not fallen through. It would take take nearly two decades and some ownership maneuvering to make the NHL's first expansion team since the WHA merger a reality. 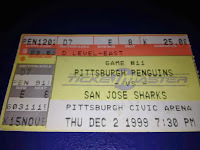 As a 13-year-old hockey fan, I immediately bought into the marketing machine that circled the fledgling franchise. And I've followed the team as my "second team" ever since. Pat Falloon, the first player selected in the Expansion Draft, wore the number 17, which I adopted as my own in high school. Arturs Irbe, one of the smallest players in the League, logged record minutes in net. During San Jose's very own All-Star game in 1997, Owen Nolan provided one of the most memorable AS Game moments, calling his shot and beating Dominic Hasek for the hat trick. 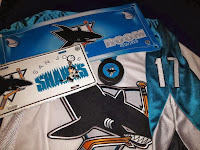 The memorable events, players and fan base each contributed to my long-standing fandom of the Sharks. And seemingly each December, when they meet up to play, it's like an early Christmas and sometimes birthday present. The Penguins and Sharks, despite the lopsided results seen in the first dozen games, have as close a record as two teams can have. The Pens now trail the Sharks with 11 wins to the Sharks' 12. The two teams have tied 3 times. The Pens have also lost to the Sharks once in OT and twice in shootouts. 106 goals for Pittsburgh. 96 goals for San Jose. Crazy final scores of 10-2, 8-10, 1-9, 8-0, 7-3, 9-4. And single goal deficit nail-biters. When these two teams meet, the results are completely unpredictable. In this 2013-14 campaign, the Sharks are sitting atop the Pacific Division. Their 19-3-5 record places them one point off of Chicago's Western Conference leading 44 point season while the Sharks have played two fewer games than the Blackhawks. This is not new territory for head coach Todd McClellan's team as strong regular seasons have come to be expected from the Black and Teal. Captain Joe Thornton, now in his 17th NHL season, leads the Sharks in points with 5 goals and 25 assists. Rookie sensation Tomas Hertl has shown a knack for putting the puck in the net, amassing 13 goals thusfar in his young career, sometimes resorting to Adam Oates-enraging creativity to do so. Defensively, the team is led by Dan Boyle, who will be playing in his 900th NHL game at Consol Energy Center. Through 899 games, Boyle has scored 137 goals, 400 assists while racking up just 625 penalty minutes. And he likes Indian food, so there's that. Veterans Scott Hannan, Brad Stuart and Marc-Edouard Vlasic round out a very solid top-four. San Jose has always found great talent in net, either through the draft or free agency. They've had the aforementioned Irbe, recently retired Miikka Kiprusoff, Hall of Famer Ed Belfour and Evgeni Nabokov. Antii Niemi follows that precedent. A quality goaltender whose 2.21 GAA and .918 save percentage are very respectable in a highly competitive Western Conference. The Homestand, as some are calling it, was a huge boost for the confidence of the Sharks. Facing five teams that matched up very well against them - New Jersey, LA, St. Louis, Anaheim and Toronto - the Sharks were able to sweep each opponent to reclaim their seat at the top of the Pacific Division. Those games saw San Jose outscore the opposition 18-10, adding two shootout victories along the way. This game marks the return of Tyler Kennedy to Pittsburgh. As a Shark, TK has put up 3 goals and 8 assists. That's good for 10th on the team in points. And, in case you're wondering, he's shooting at a blistering 4.8% rate. Very TK-like. Since I figure everybody and their mother have written about his return at this point, really the only reason I'm mentioning his return is because a fellow PI member threatened bodily harm if I didn't post a shirtless picture of Kennedy if I did this article. So far this season, the Penguins have struggled against teams with winning records, as the Sharks are. Whether that is a function of playing in a weak Metropolitan Division or deeper issues has yet to be seen. With that said, this game has many factors that will make it a wild ride no matter which way the hammer falls. Both teams rely heavily on their ability to score. The Sharks' 3.44 goals per game edge out the Pens' 3.00 goals. The majority of that difference can be found in 5-on-5 play. While the Sharks' penalty killers have done their job 14 straight times, improving the team's PK unit to an 82.3% proficiency, the Pens' power play has the clear advantage. At 26.0%, the Pens power play appears unstoppable. That would especially hold true against a PK unit that had to hit a hot streak to make it to the middle of the pack. Conversely, the Sharks power play is 13th in the NHL at 19.0%. The Pens' 85.5% success rate on the kill should match up well. Normally for this type of article, I would not give a prediction. But this is Pens/Sharks and different rules apply for me. Two weeks ago, my prediction for this game would be very different. 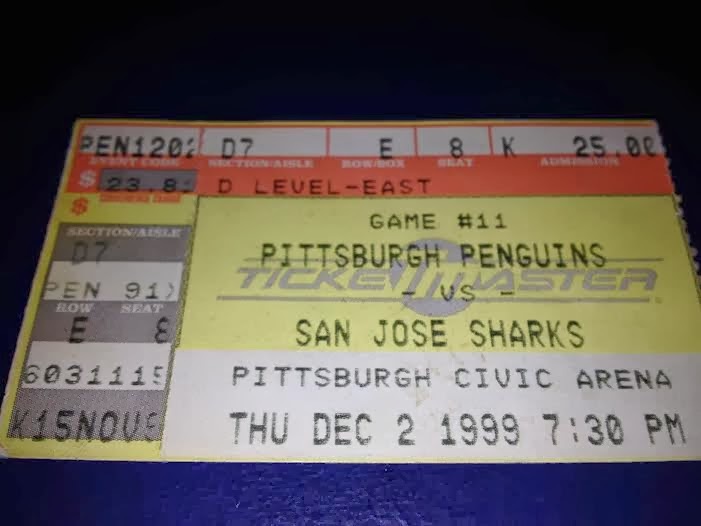 Given the way the two teams were playing, a 2-1 SO victory one way or the other would have been the probable result with official goals coming from San Jose's Hertl and Pittsburgh scoring machine Derek Engelland. That was then. This is now: These two teams are hitting their strides just in time to face one another. This game will be a perfect display of what the NHL had in mind when it started adjusting the rules in favor of goal production. I almost feel bad for Marc-Andre Fleury and Antii Niemi. Write it down, the Pens will win this contest, 18-17 with hat tricks from Sidney Crosby, Evgeni Malkin and Joe Vitale. On the San Jose side, Tomas Hertl will notch 11 assists while Patrick Marleau will score six times. Vlasic will get a pair, as will Brent Burns. Meanwhile Joe Thornton will score 4 times, immediately get a game misconduct and arrested for indecent exposure. And one member of Pens Initiative will go to bed happy, knowing that he just saw his two favorite teams go toe-to-toe one more time in a game that was completely unpredictable from the drop of the first puck.